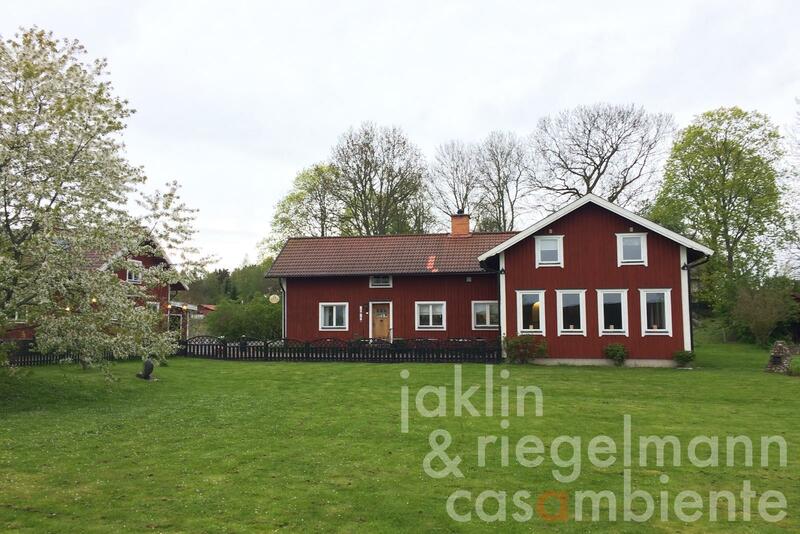 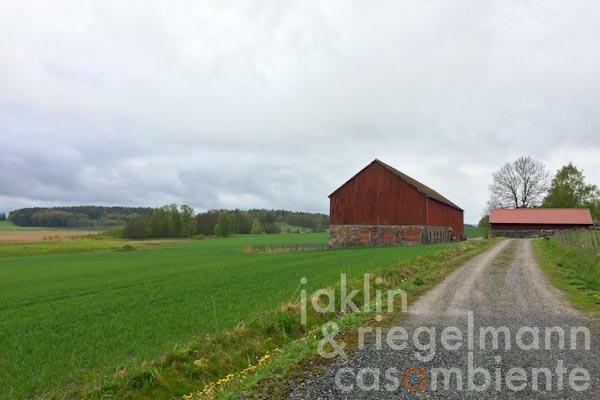 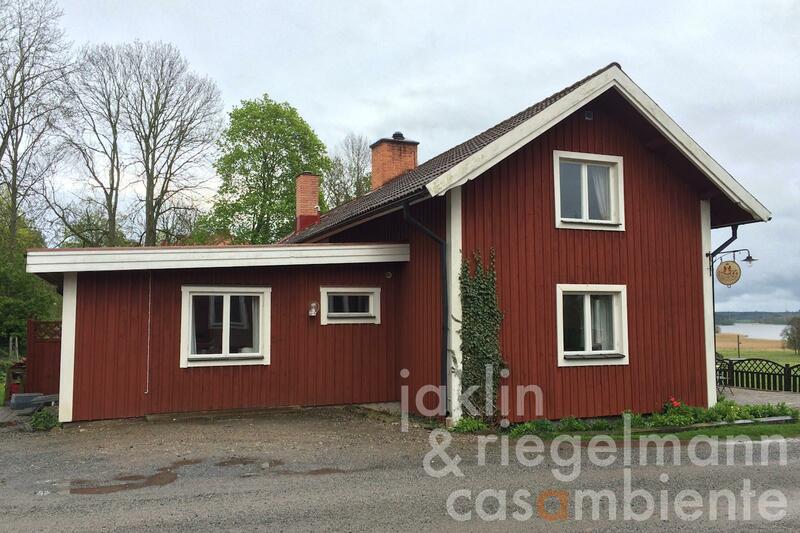 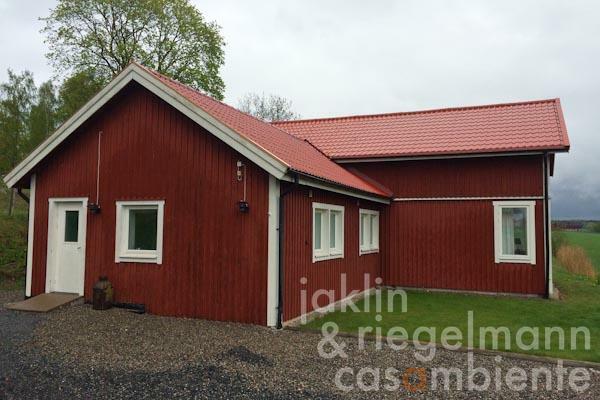 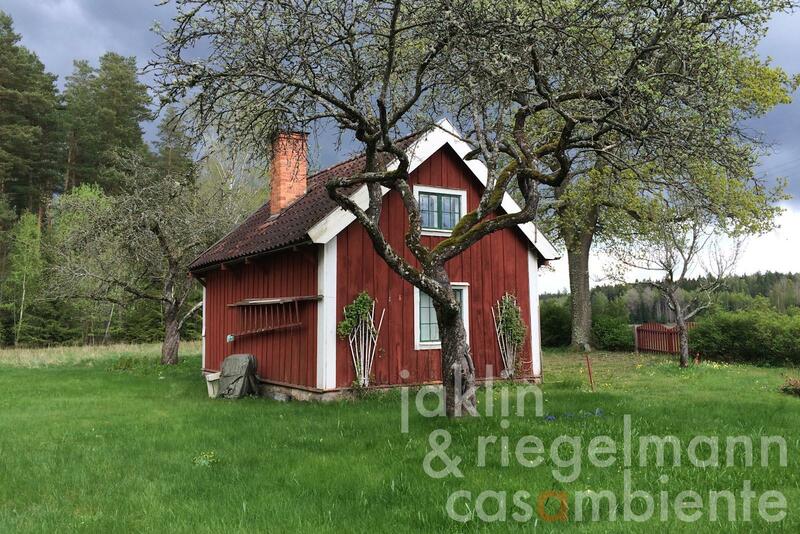 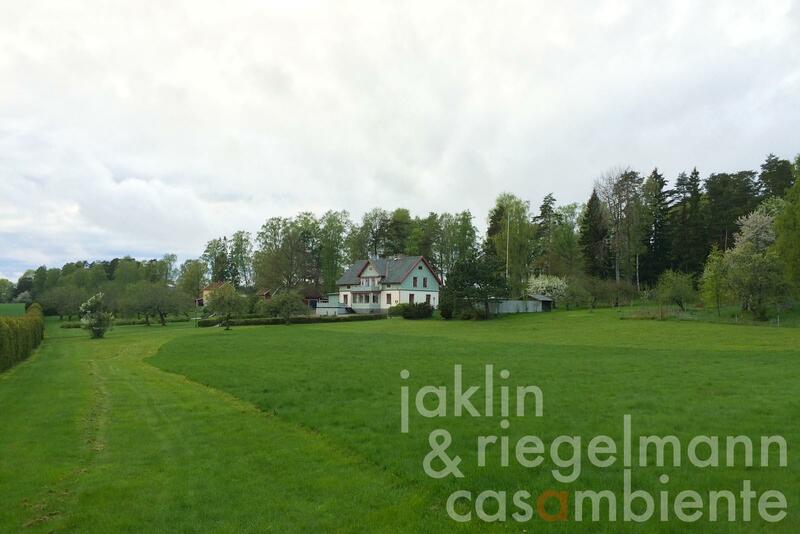 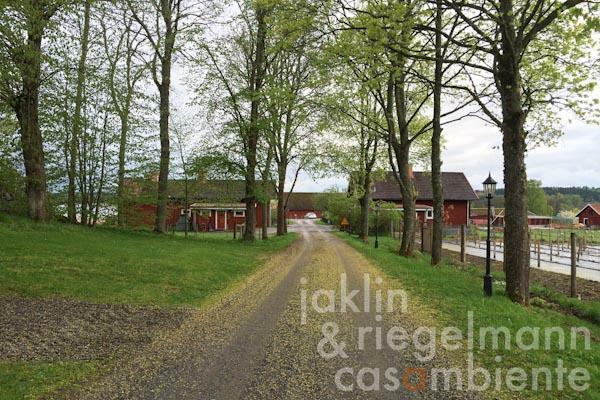 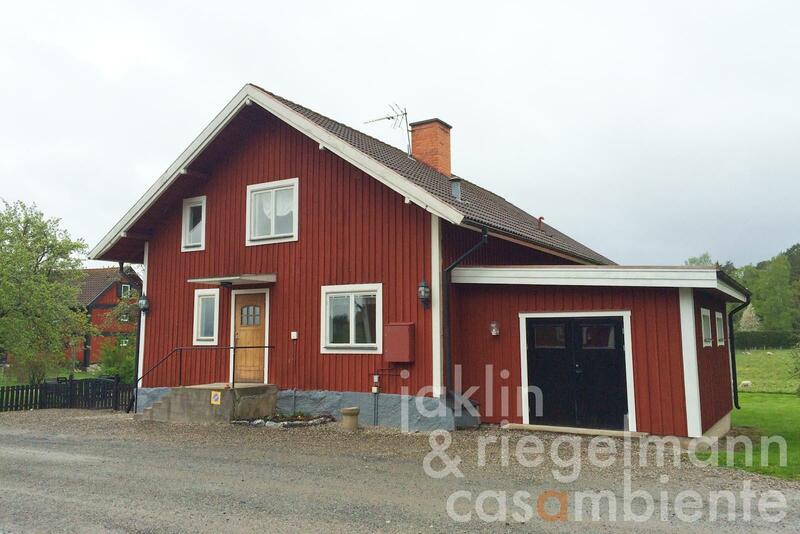 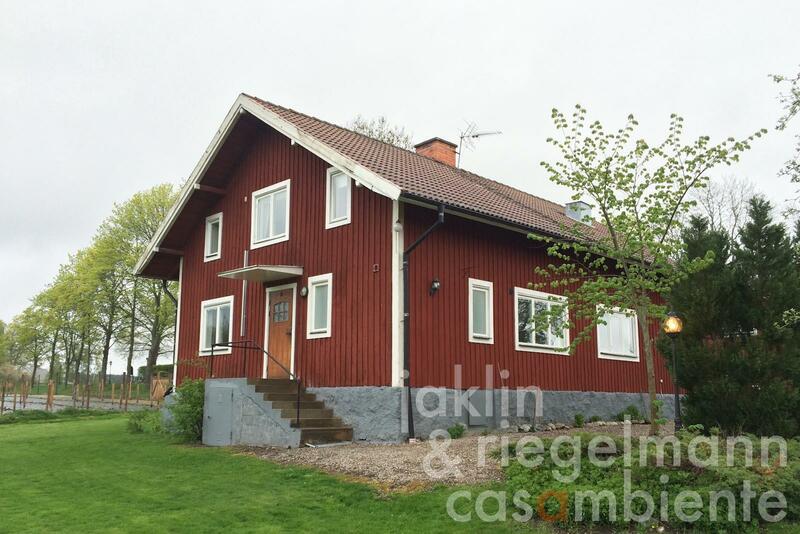 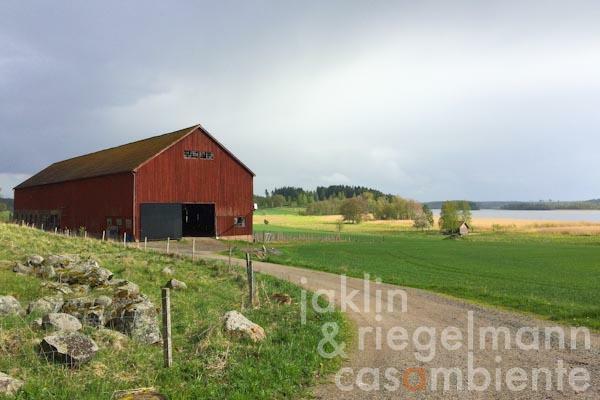 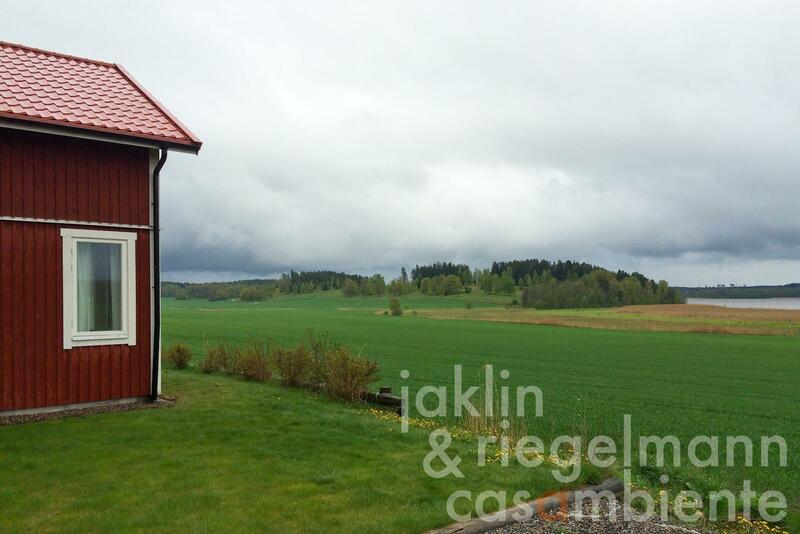 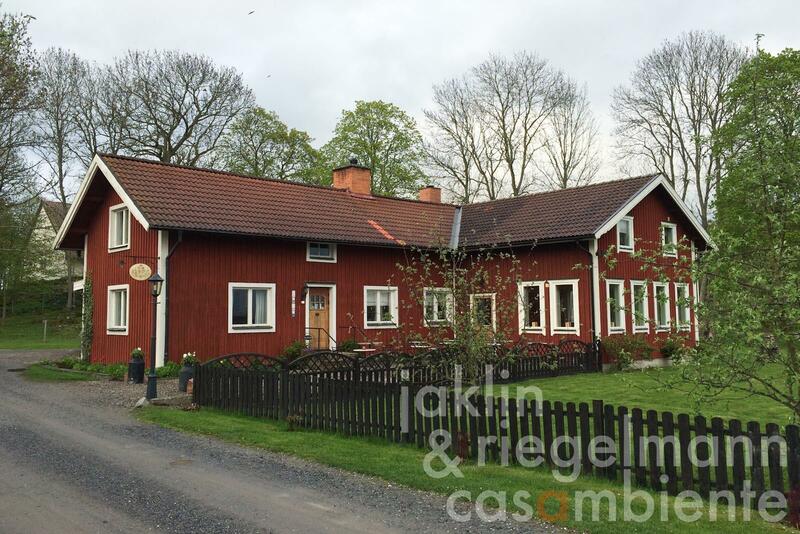 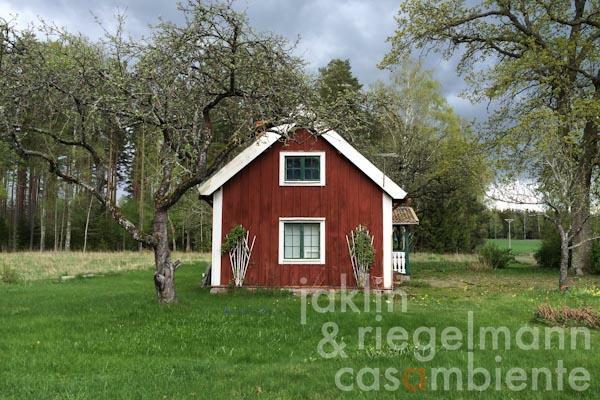 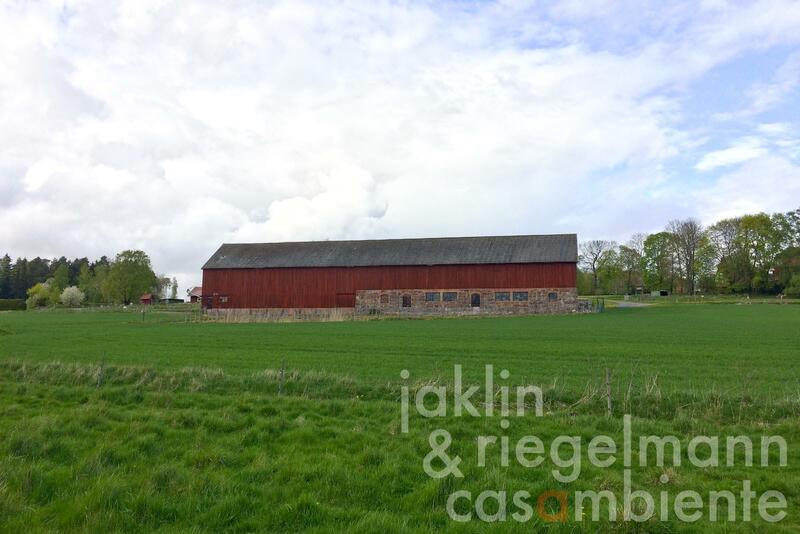 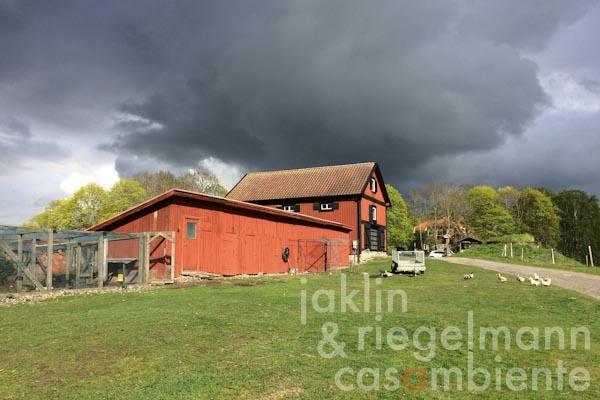 This unique Swedish country estate for sale is located in Södermanland county close to Nyköping and only about 1.5 hours from Stockholm by car. 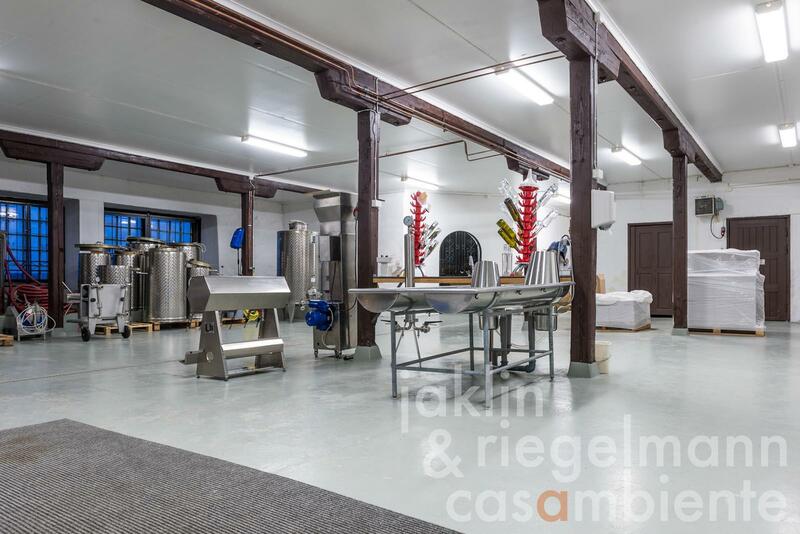 The property has an exclusive award winning own wine production with vineyards on about 2.6 hectares with Vidal Blanc, Chardonnay and Merlot grape varieties. 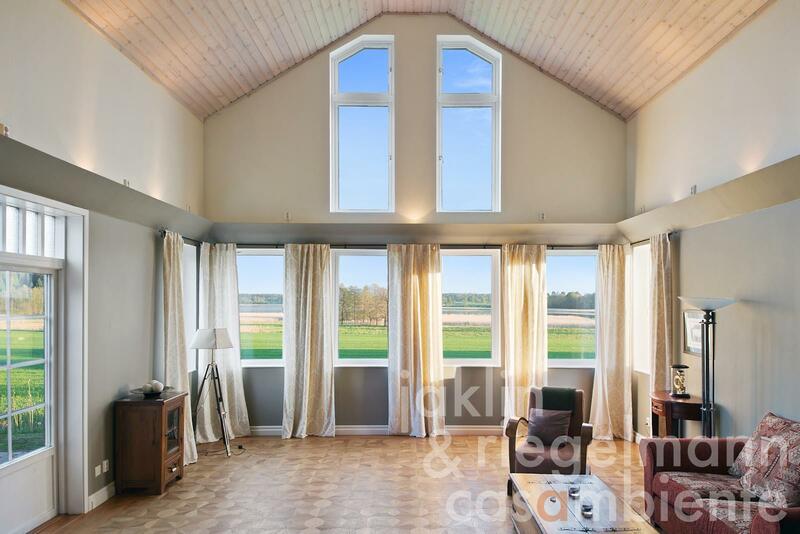 The estate is located in a privileged position, facing south with panoramic views across a freshwater lake, which partially belongs to the property for sale. The estate comprises several historic buildings with a private residence (about. 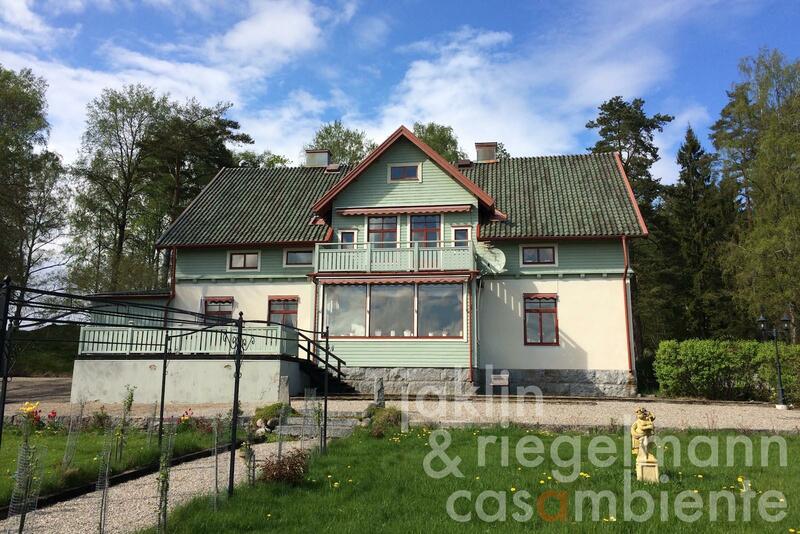 500 m²) with views across the lake, a restaurant building (about 275 m²) out of the 18th century for currently about 36-50 guests with a panoramic terrace, three beautifully restored country houses (about 250 m², 230 m² and 190 m²) all with views across the lake, which have been transformed into a distinguished hotel with 16 very well-appointed suites, hotel rooms as well as conference and event spaces, a barn (about 1.150 m²), which has partially been converted to house the estate's own wine production (about 500 m²), bar, event space and tasting room (about 80 m²) as well as an adjacent vaulted cellar out of the 16th century (about 80 m²), also for tastings and events. For day conferences there is room for about 100 seats. 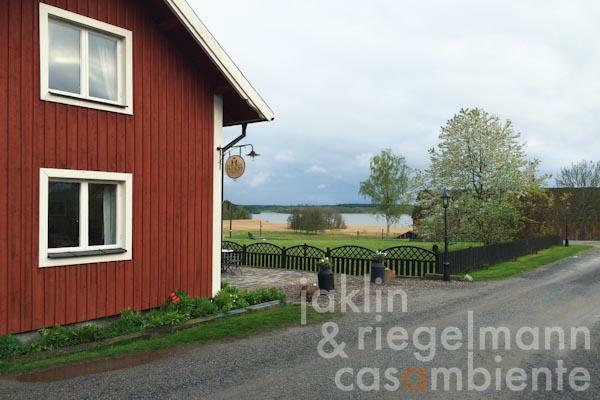 Several additional country houses for guests and staff, agricultural buildings and a boathouse by the lake complete the property. 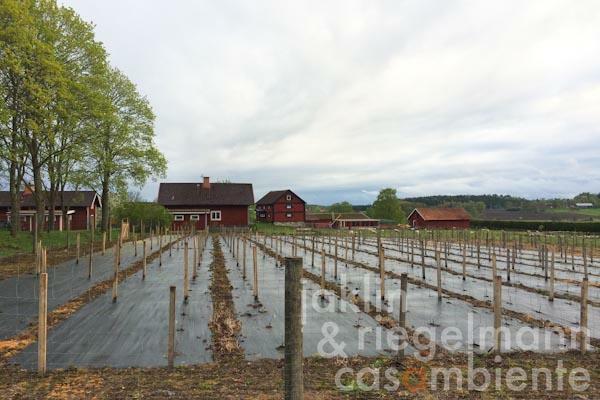 The Vidal Blanc grapes, which are grown on about 90% of the estate's vineyards, are turned into delicious and multi-award winning ice wines, while the Chardonnay and Merlot wines are equally impressive. The northern climate in Sweden, extensive daylight and clean nutrient soil are the basis for the estate's ice wines. 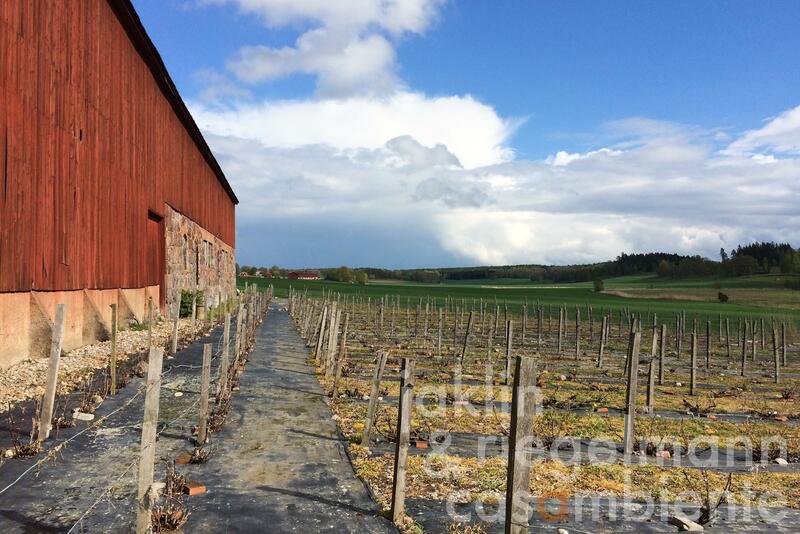 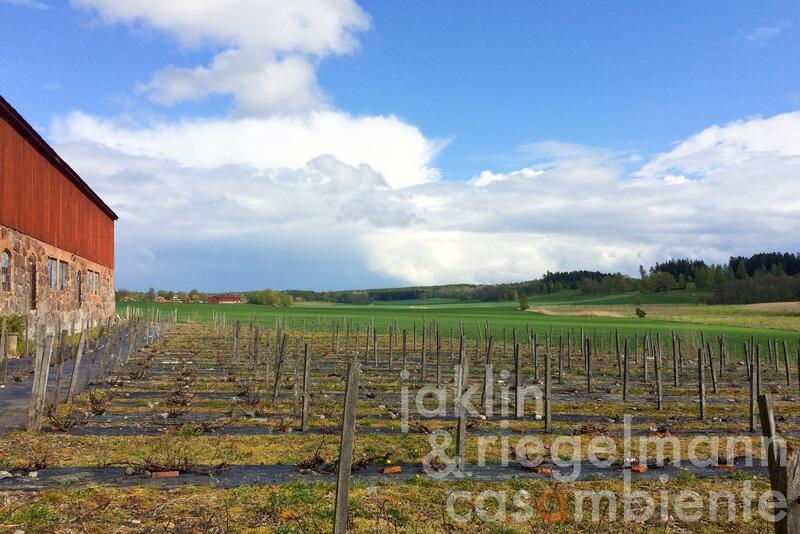 The existing vineyards can easily be extended by about 3-4 hectares around the buildings. 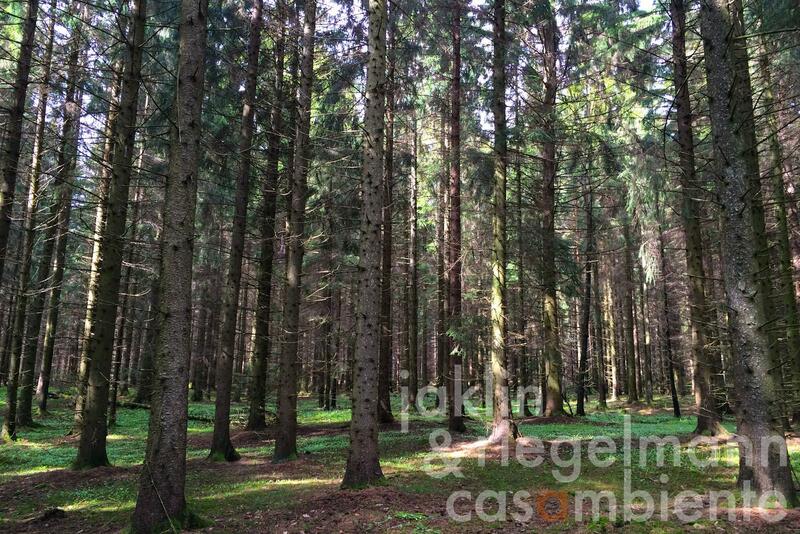 The land comprises about 90 hectares of woodland, which is part of a private hunting ground, about 86 hectares of fully drained and high-yielding arable land as well as meadows and pastures on about 15 hectares. 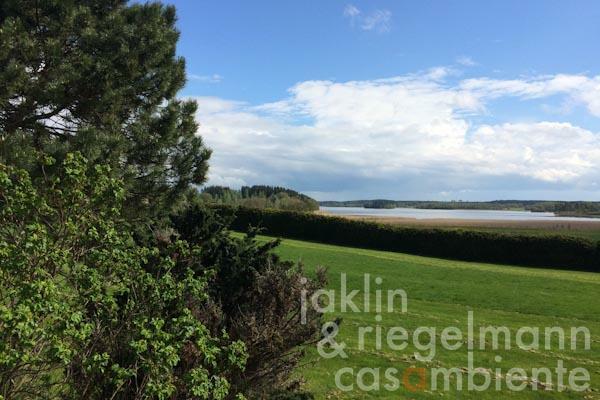 About 50 hectares of water surface with the associated fishing rights are part of this magnificent property. 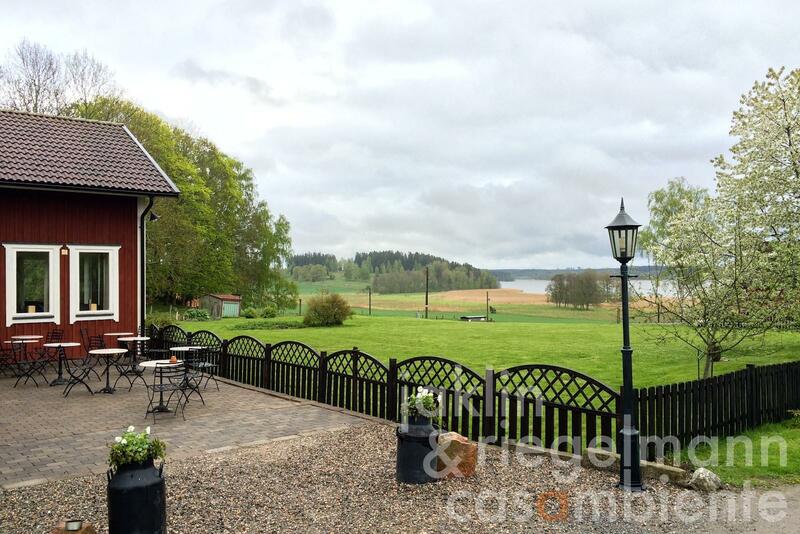 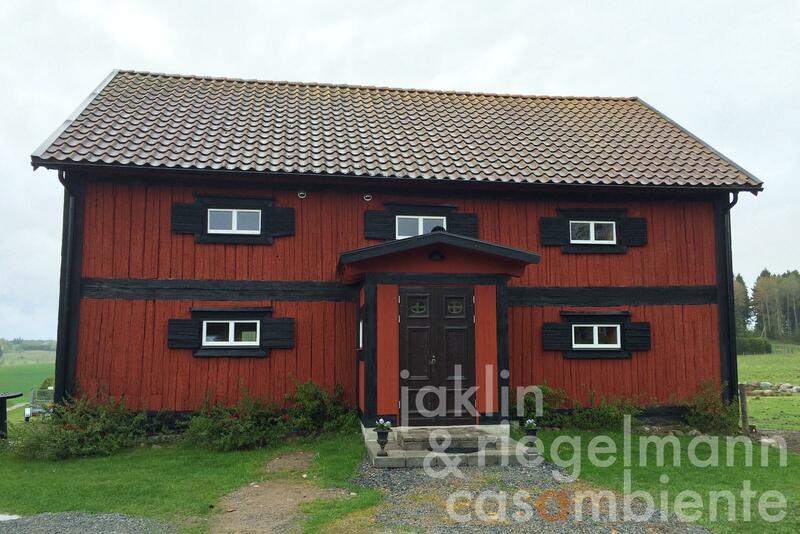 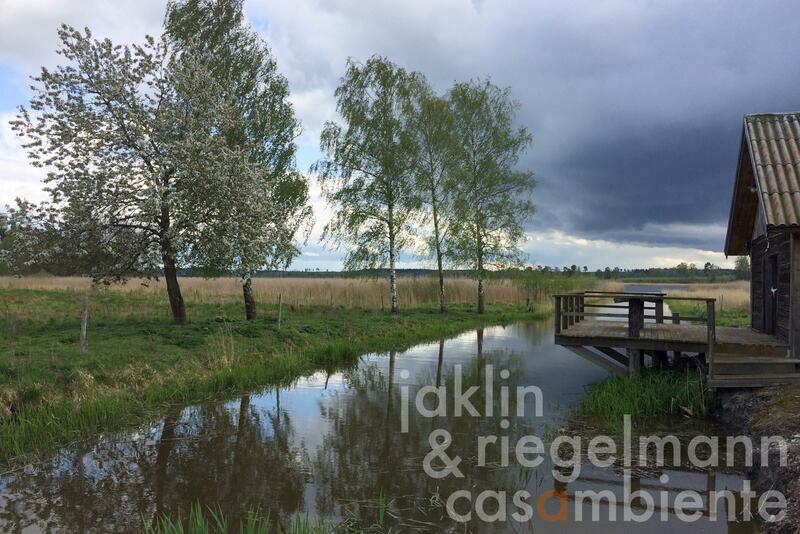 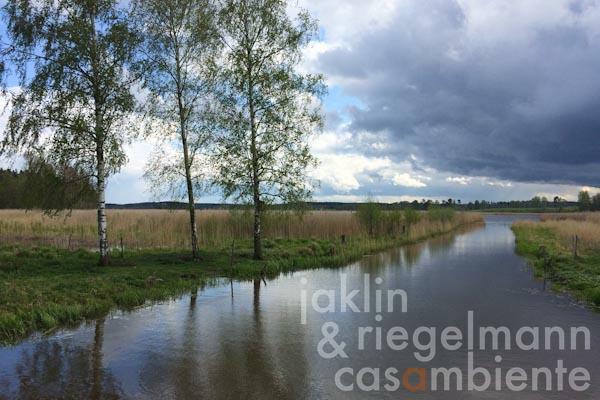 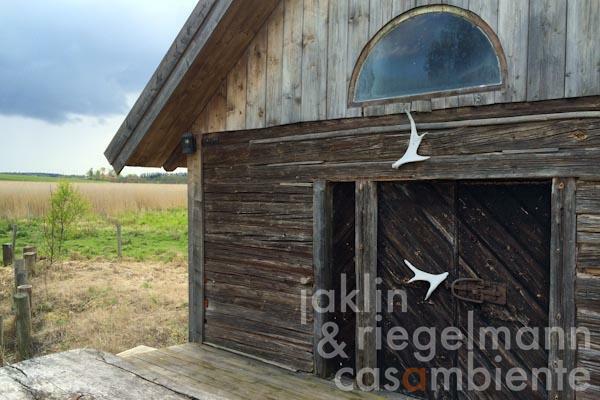 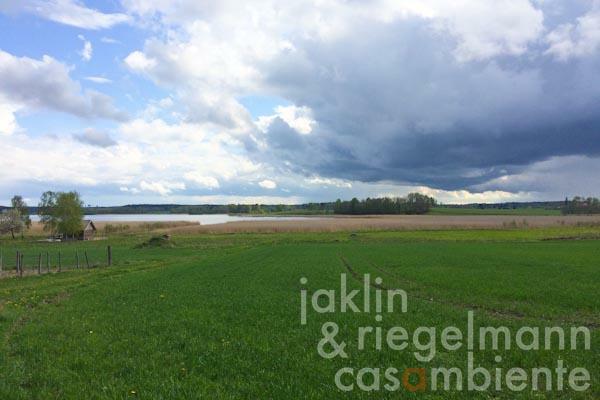 The property for sale is surrounded by medieval castles, Viking monuments and the natural landscape of Södermanland with an abundance of crisp natural lakes, wildlife and charming old villages. 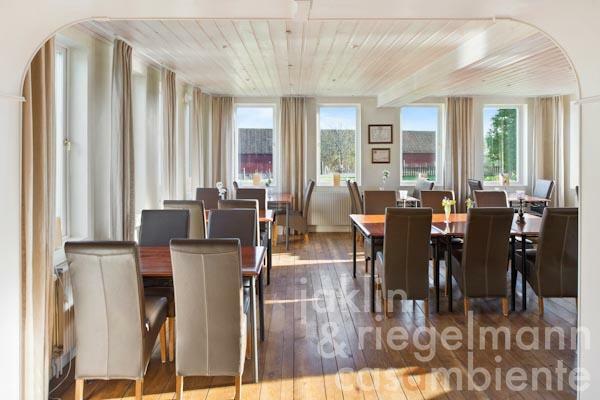 All fixtures in the buildings are included in this offer. All furniture, equipment, machinery, inventory, crops and livestock can be purchased separately if desired. 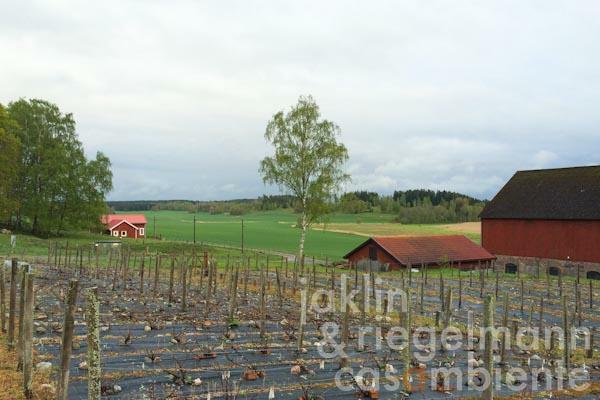 206 ha with about 2.6 hectares of vineyards, 90 hectares of woodland, 86 hectares of arable land and 15 hectares of meadows and pastures. 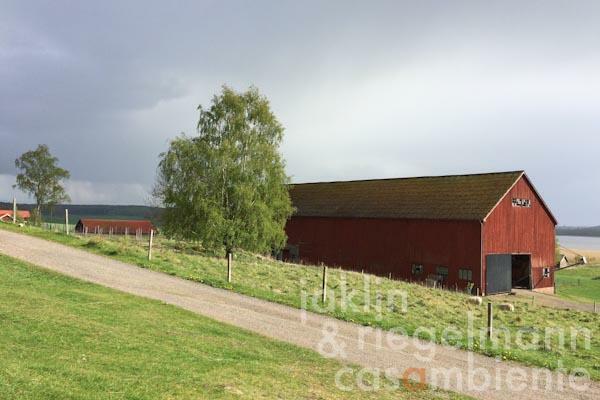 Electricity, own well water, central heating, fireplace, oil tank, telephone, broadband internet access, satellite-TV, garage, private parking, terrace, vineyard, garden.